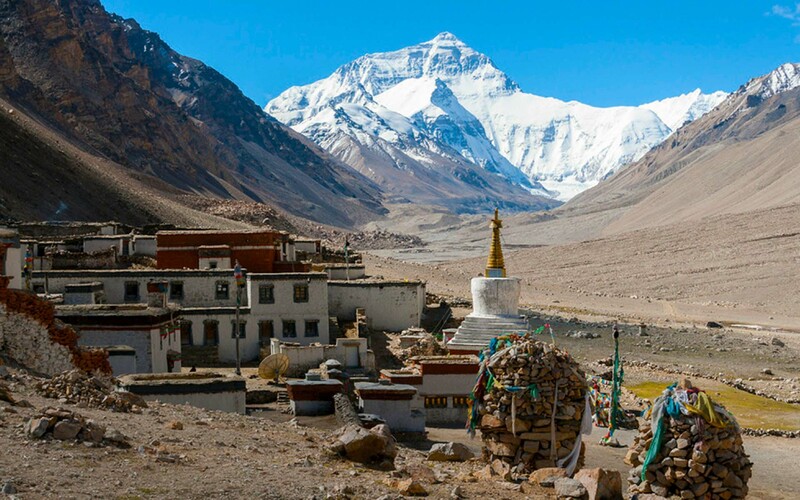 Tibet Adventure trip provides a mix of exciting adventure in two Himalayan countries, Nepal and Tibet. The trip begins with the exploration of heritage sites in Kathmandu valley. We then fly to Lhasa. 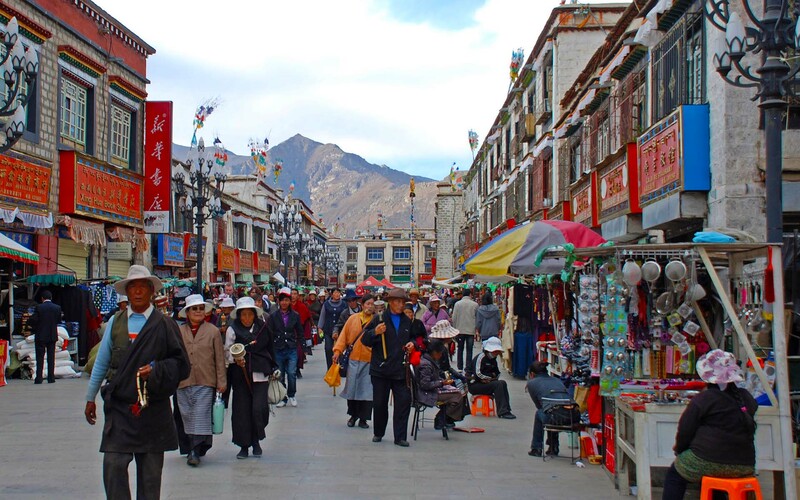 In Tibet, we visit beautiful towns- Lhasa, Gyantse, Shigatse, and Rongbuk. 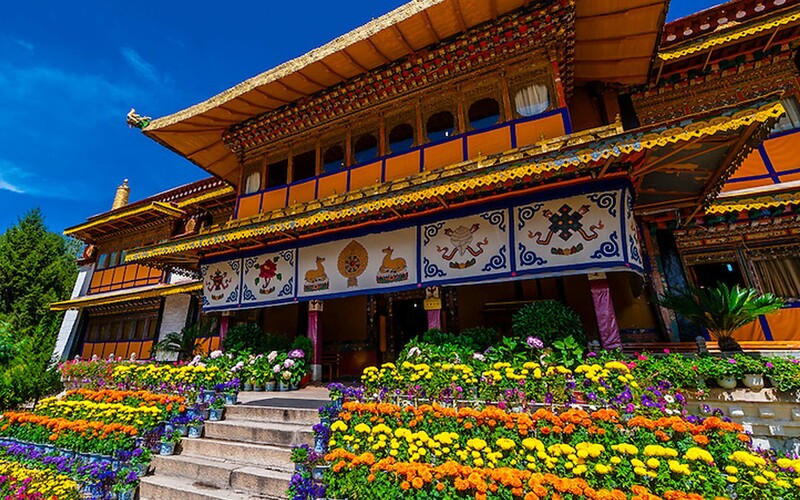 On our trip we visit popular Tibetan landmarks like Potala and Norbulingka Palaces, Tibet Museum, Barkhor Bazaar and Gyantse Dzong (fortress). 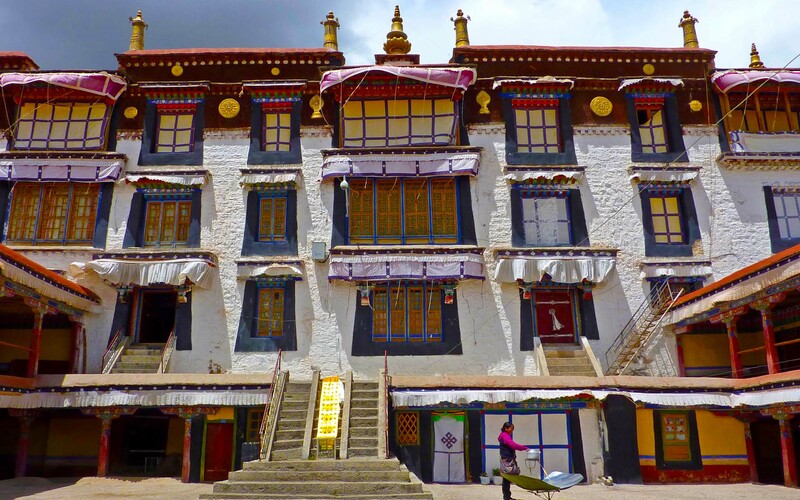 We also visit a number of impressive monasteries like Sera, Drepung, Jokhang, Samye, Tashilhunpo and Phalkot. We continue our drive and tour the sheer north face of Mt. Everest, cross the beautiful Yamdrok Tso Lake along with several high passes. We then drive to The Last Resort located in Nepal near the Nepal-Tibet border to pursue an adventure activity like bungee jumping. Upon arrival at Tribhuvan International Airport (TIA) in Kathmandu, you will be received by our representative and transferred to your Hotel. If arrive early mid-day till evening is free to venture around the city close to your hotel. 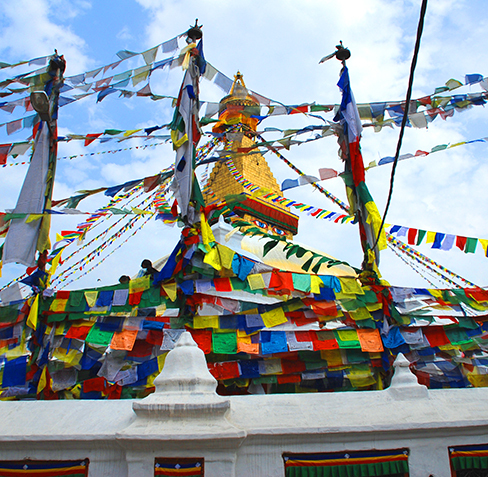 Get personal and Up-close with the Colorful Market Place in Kathmandu while our office in Kathmandu will have some logistic works for your Tibet trip. We take an hour-long trans-Himalayan flight to Lhasa, Tibet early in the morning. The flight takes us over Everest (8,848m), Kanchenjunga (8,536m) and other Himalayan peaks and glaciers. Upon our arrival in Lhasa, a representative from Travel House Nepalwill pick us up from the airport for about an hour’s drive to our designated hotel in Lhasa. We are advised to take plenty of rest for the remainder of the day in order to minimize altitude sickness. Overnight in Lhasa. 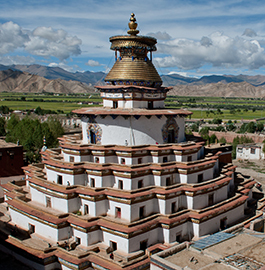 Today, we take a scenic drive to Gyantse. 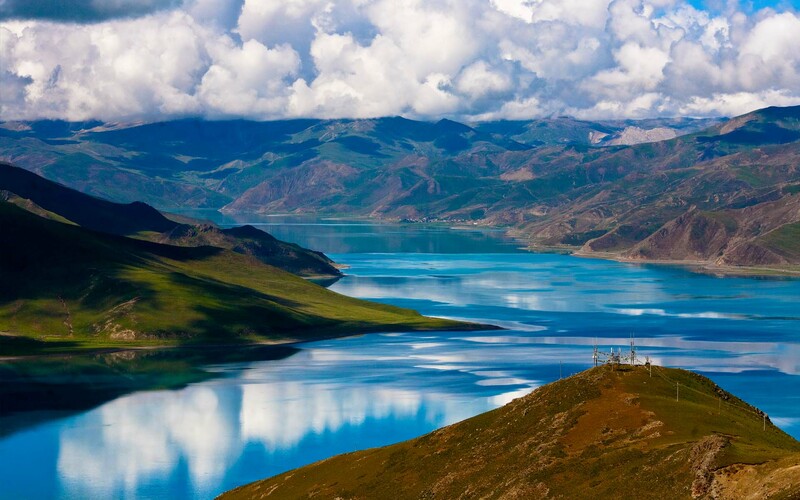 On the way we cross the Khamba La Pass (4,794m) with a brief halt to savor the beauty of the Yamdrok Tso (Turquoise Lake), one of the three largest sacred lakes in Tibet and the beautiful Nazin Kang Sang glacier (7,252m). Soon, we come across another pass, The Karo La Pass (5,045m). From our vehicle, we can enjoy views of huge glaciers tumbling down into the road before reaching Gyantse. In Gyantse, we visit the Khumbum Stupa, Phalkot Monastery and Gyantse Dzong (Fortress), which is one of the best preserved dzongs in Tibet. Overnight in Gyantse. After breakfast, we drive towards Shigatse, the second largest city in Tibet. 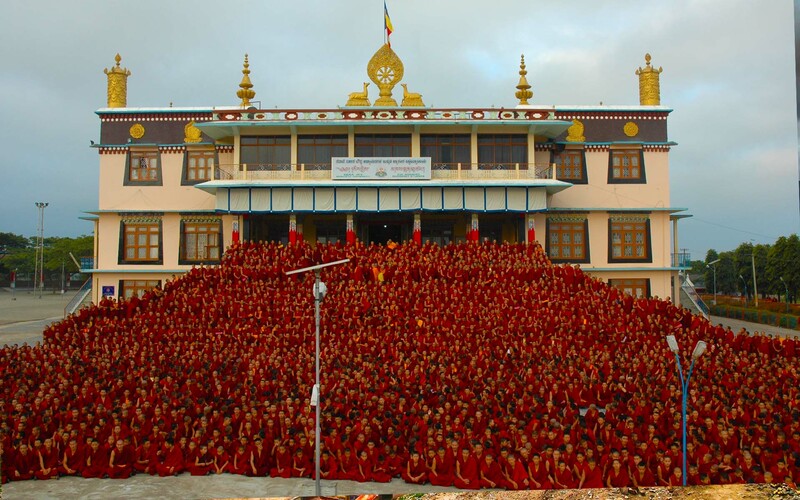 On the way, we visit Shalu Monastery. 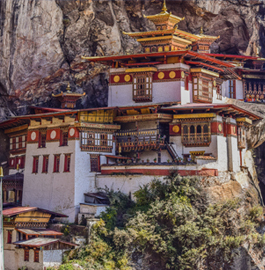 Founded in 1040, Shalu Monastery is known for its beautiful and ancient mural paintings. Next, we continue to Shigatse. 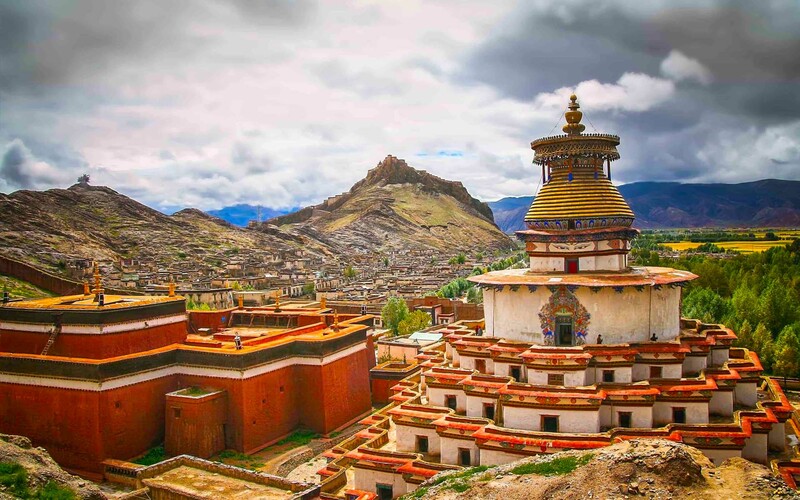 In Shigatse, we visit the popular Tashilhunpo Monastery which holds both historical and cultural importance for being founded by Gendun Drup, the First Dalai Lama in 1447. After sightseeing in Shigatse, we will have the remainder of the day free for resting. This will help us with acclimatization and the next day’s long drive. Overnight in Shigatse. After breakfast, we visit the Tashilhunpo Monastery in Shigatse. 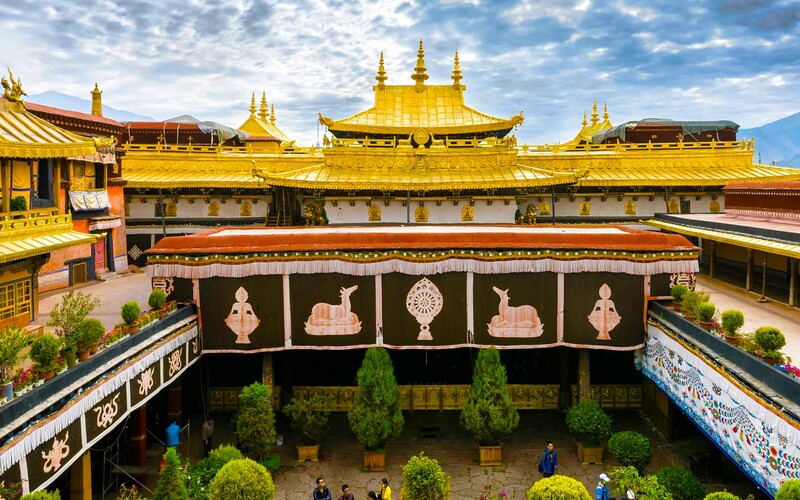 It holds both historical and cultural importance for being founded by Gendun Drup, the First Dalai Lama in 1447. Today, we also cross the two high passes, the Gyula and Gyatso La (5,220m). Then, we descend to the plains and reach Sakya. Here, we visit the Sakya Monastery, which is the ancestral temple of Sakyapa sect of Tibetan Buddhism. We further move ahead towards Rongbuk, a valley only around 8 km away from the Everest Base Camp (5,250m/17,220ft). On the way, we get brilliant views of Mt. Everest (8,848m/29,029ft), and other high Himalayan peaks over 8000 meters. Upon reaching Rongbuk, we visit Rongbuk Monastery, the highest monastery on earth. Overnight in Rongbuk. First, we drive to Zhangmu, a major trading hub between Tibet and Nepal. A few kilometers drive from Zhangmu to the Friendship Bridge over the Bhote Koshi River brings us to immigration control in Kodari where we are expected to complete some custom formalities. Then, we drive a little further to our ultimate destination, The Last Resort for pursuing adventure activity of our choice the next day. Upon reaching The Last Resort we take a rest in order to better prepare ourselves for the next day’s activities. Overnight in The Last Resort.